As a native of Denver, Colorado, and having graduated from the University of Denver’s Business School early in life, Sheldon has been in touch with the needs of companies within this market throughout his successful career. His experience working the family business of Jake’s Auto Parts Stores, as well as handling all the real estate transactions for their company, expanded his reach along many facets of multiple industries. 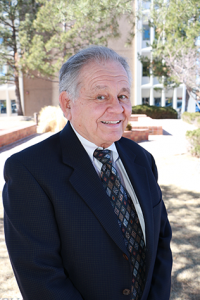 When the family sold its business in 1982, Sheldon acquired his real estate brokers license upon which he began his new career with Shames Makovsky Realty a short year later. During this period, he found great reward and prolonged success in specializing in warehousing, manufacturing, and retail, along with the handling of other unique business transactions for his clients. Since that time, Sheldon has been honored by the loyalty that many of his customers have shown to him over the last 28 years, with many of them calling upon his expertise for further repeat sales. Since joining Weststar Commercial several years ago, his presence is welcomed daily with his broad smile, down-to-earth mannerisms, and his keen ability to understand the nuances of the commercial real estate markets. He is highly respected throughout the community and within the industry, and plays a large role in continuing to help his clients grow ever more successful.